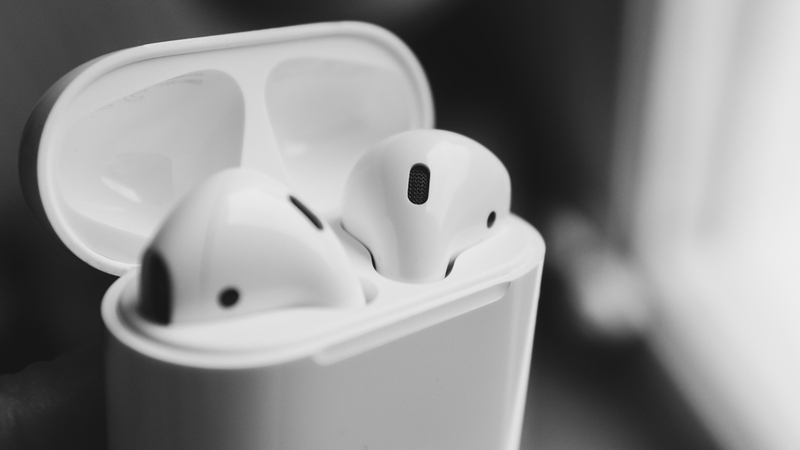 Apple AirPods may not be the smartest wireless earbuds you can buy in 2019, but they've certainly proved the most popular since first launching two years ago – and there's now AirPods 2 to explore. For many owners taking the toothbrush head-looking AirPods out of the box for the first time, it can be tough to know where to get started. How to use, clean and connect them are all normal questions to ask when you first buy a pair for yourself. And that's why we're here, to provide a one-stop manual for all your burning Apple AirPods queries. Below, we've detailed all the key aspects of the hearable. The first-gen Apple AirPods proved wildly successful, even by Apple's lofty standards. You only need to walk down a city street to see how any original concerns over design or price have quickly been quelled since launch. But what about the next generation? Well, we now know all the details behind the new AirPods 2. There aren't wholesale changes, but there is a new H1 processor – powering 50% more talk time and hands-free Siri control – and a new Wireless Charging Case that's compatible with Qi charging mats. Head over to our Apple AirPods 2 explainer to learn more about the new generation. AirPods are Apple's wireless earbuds, ones that are able to connect to any Bluetooth-compatible device. They're sold separately to iOS devices, unlike the wired Apple EarPods, and can be used to listen to audio, make or take calls or talk to Apple's digital assistant, Siri. Interested in the AirPods but not sure where the best place is to buy them from? Well, Apple AirPods 2 have now officially replaced the old generation, and still cost $159 if you're buying them with the standard charging case. However, if you want the fancy new Wireless Charging Case along with it, you're going to have to pay a little bit extra – $199. For old AirPods owners, the Wireless Charging Case can also be bought separately for $79. However, the wireless earbuds can now also be bought on Amazon through Apple, too, as shown below. Demand is extremely strong – and we expect that theme to continue with AirPods 2 – so there may sometimes be the odd delay on stock, but the retailer is reliable and has even run the occasional (very small) discount on the AirPods. The neat thing about AirPods is that they work straight out of the box. Once you're connected to a phone, tablet or your computer, all you need to do is take them out the charging case, put them in your ears and they'll automatically connect. If you want to pause the audio, simply take one AirPod out. And if you want to stop the audio entirely, you just need to take them both out. Sound can be adjusted manually through the iPhone or the Digital Crown on the Apple Watch, and you can also use the Control Center on your iOS device to adjust where sound is played. And through the new generation, you can now also enlist Siri without raising your hand to your ear. Just saying "Hey Siri" will wake the digital assistant, and from there you can control your listening and, y'know, get updates on the weather. Whether you want to connect AirPods to a MacBook, PC, tablet or smartphone, the only thing you need to check is whether it's compatible with Bluetooth. If it is, pairing AirPods is extremely simple – and even quicker with AirPods 2. The AirPods will immediately latch onto your iOS device when taken out of the case (providing Bluetooth is turned on), showing the pop up screen that allows you to connect the two forevermore. On a Mac, you'll have to press and hold the pairing button on the back of the case, go to the Bluetooth settings menu on your computer and hit pair. This same practice can be repeated for Android smartphones or tablets, or PCs – but read our guide on how to connect AirPods for all the steps. The AirPods will very quickly become something you won't leave the house without, and the instant pairing means you'll find yourself using them in instances when you wouldn't have previously bothered with the hassle of untangling your old earphones. But anything you use so often will naturally need cleaning from time to time – especially a device so susceptible to ear debris. Of course, you can't just run these things under the tap. In order to clean your AirPods, make sure you use a soft, dry and lint-free cloth and use a cotton swab to get inside the microphone and speaker mesh. Obviously, don't try and enlist the help of any sharp objects or liquid - otherwise you could end up sad and, y'know, AirPod-less. Knowing just how long AirPods last is key to knowing when to stick them back in for a rest and when to connect the charging case for a full reboot. And in this regard, the the wireless buds can last for a considerable distance. From our testing, we've found that you can get 3-5 hours on a single charge, with that extending to 24 hours of charge with the help of the standard case or new Wireless Charging Case. Obviously, this means you'll have to take breaks if you want to keep them in for an entire shift at work, but those using them for their daily commute should rarely see the battery dip below 50%. You can also keep an eye on this by looking at the control centre of the iOS device the AirPods are connected to. We've touched on some of the key queries above, and in our dedicated how-to explainers, but sometimes you just want quick answers to quick questions – all in one place. That's why we've rounded up some FAQs surrounding the Apple earphones and looked to clear up any confusion. Need to know if AirPods stay in when running? We can tell you. What happens if you lose one of your AirPods? We can tell you. Check out our extended feature for more.